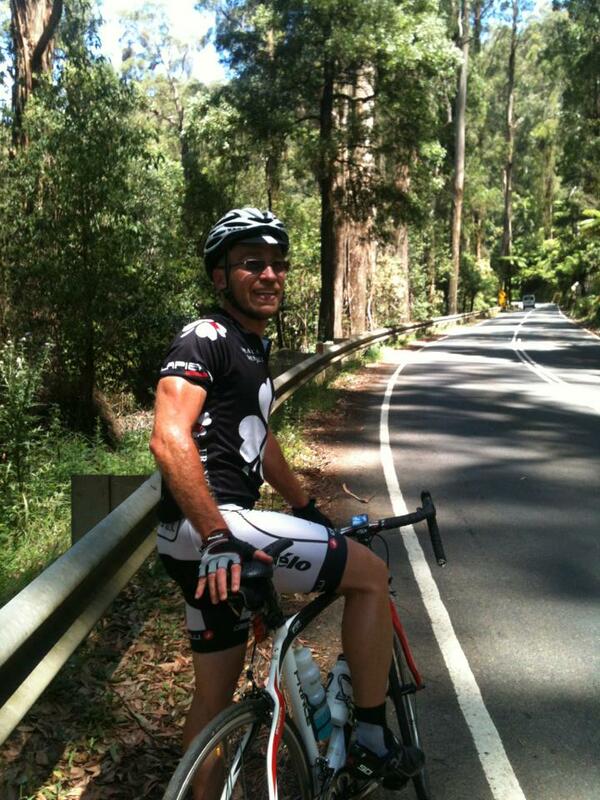 Here in Australia it’s Summer – the season for the beach, bush fires, and… cycling challenges. Last weekend saw the end of the Tour Down Under, which is held in and around the hills of Adelaide in South Australia and last weekend was the Audax Alpine Challenge. The course had to be moved to Mt Buffalo to avoid a major bush fire in the area. A lot of my cycling friends have been at one or both of these events and more still are training for the 3 Peaks Challenge, which I’ve mentioned before – a grueling 230km+ and roughly 4500 vertical metres taking in climbs like the back of Falls Creek, Tawonga Gap and Mt Hotham. In the spirit of things yesterday I seized an unusually mild and clear day to head up to Marysville with one of my riding mates, Sam. The most direct route would take us through Yarra Glen and Healesville before going up the Black Spur, a 5.5km climb averaging at 5.9%. 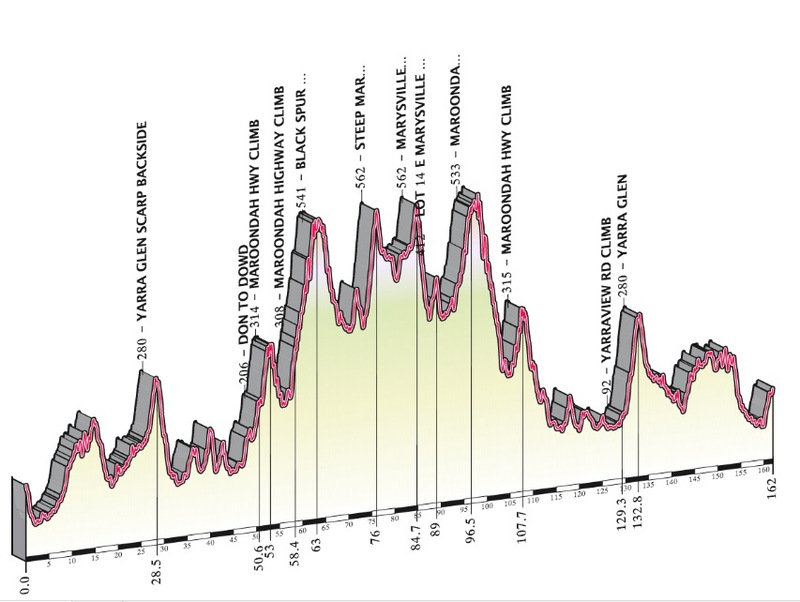 After an easy section you have a very nasty climb (2.6km, much of it at 10-12%) before descending into Marysville itself, some 80km from home. It’s stunning country. 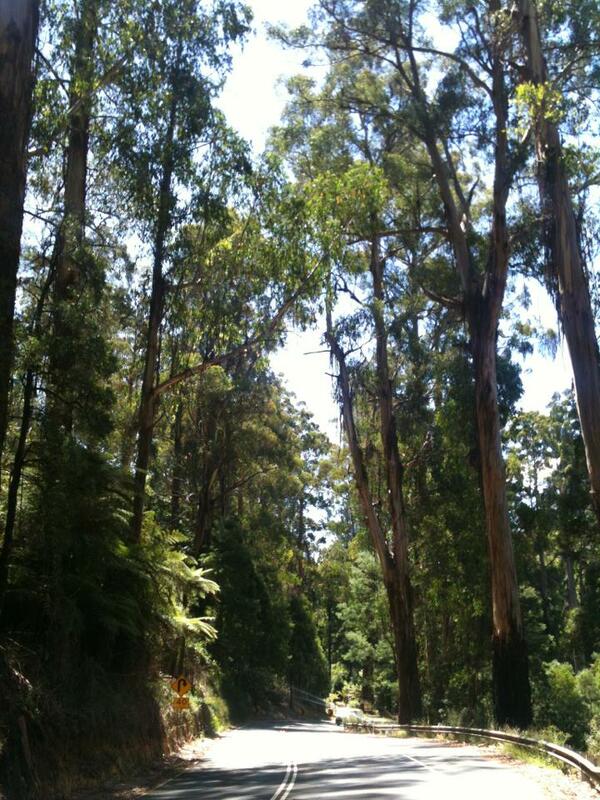 Riding up the Black Spur you’re in constant awe of the giant fern trees and the magnificent Mountain Ash that tower above you. It’s also an area with a painful past. Marysville and much of the area was severely ravaged by fire only 4 years ago. Over 170 people were killed and the beautiful town of Marysville was virtually destroyed along with many others. Knowing this it was a delight to see how well the bush had grown back and to be greeted by a beautiful and very friendly hamlet. The ride was interesting for me as it’s been a few months since I’ve tackled a new climb. I started up the Black Spur on a ride after Christmas but the traffic was absolutely horrendous, 4WDs with caravans, not nice at all. After this experience, and hearing about the Marysville climb I was really quite nervous beforehand. That might be overstating it, but I did dream about it the night before as I did before doing the 200km before NYE, only to realise that I hadn’t actually done the ride yet. My fear is interesting because it has little rational basis any more. A year ago, even six months ago there might have been some legitimate reason for this, but I’m very strong now. I’ve ridden consistently for a year now and over the last 4 months clocked over 4500km with over 15 long rides like this. So, I can do this stuff now. The fear didn’t really get in the way thank goodness. I tackled each of the climbs at the steady pace, working hard but not pushing it. This is always easier when I’m leading rather than following another rider. What it did mean was in the earlier parts of the ride when my riding partner wanted to go faster I let him go ahead rather than keep his higher speed. My nervousness made me feel heavy anyway so putting in extra speed early would have cost more energy. In spite of this I managed to get personal best times for much of the ride out and ended up 17th on the leaderboard for the Black Spur overall (6th by weight and 7th by age), and 10th by age for the climb into Marysville. Not bad for a first attempt. The Prince takes a well earned rest in Marysville before the 80km ride home. The ride back was a different story, insofar as I was able to relax knowing that we’d broken the back of it. 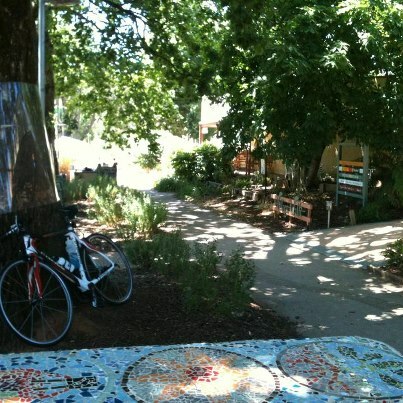 Riding into Healesville, I couldn’t resist shouting out in triumph. We still had 50km to go but we’d done it. The next challenge is to add-on Lake Mountain and Donna Buang (both over 1000m of climbing) and within riding distance, albeit 200km plus. I’m thinking of doing this when many of my riding mates will be tackling the 3 Peaks – it would be my personal Alpine Challenge / ‘Twin Peaks’ Ride. It’s natural for big, new challenges to create a degree of fear, especially when we don’t really know what’s ahead of us. Fear is often joined by self-doubt. “Can I do this? Do I have what it takes? Have I trained enough? Am I good enough?” These fears and doubts can have their uses – like urging me not to tackle the Black Spur with heavy traffic – but they can be crippling even when we have what it takes. But it’s these challenges, these tests that push us beyond what we know we can do, where we learn what we are really capable of. When I rolled home, after 162km and 3000m I still had plenty of energy. There was fuel in the tank. I knew I could do more still. But it was time to read my little boy a bedtime story. I was with you for the entire ride. Great post.